Mini Movers is lots of fun for children who love music and movement! 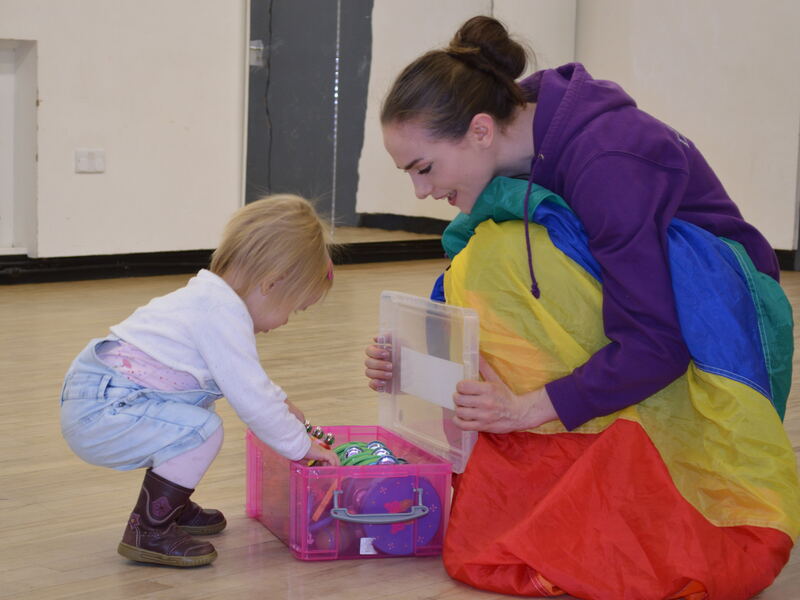 This class will introduce them to dance through music and movement including action songs, nursery rhythms, musical instruments, bean bags and parachute fun; all used to help them improve their confidence, co-ordination and musicality while having lots of fun in a relaxed and friendly atmosphere. A great chance for parents/carers to meet other local familes and to have some special bonding time with your child as you sing and dance together. Parents/carers are invited to join in with this class to ensure your child has as much fun as possible!